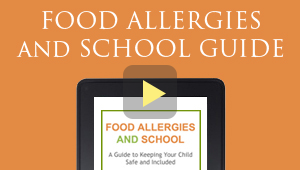 The Teal Pumpkin Project™ was launched as a national campaign in 2014 by Food Allergy Research & Education (FARE). A teal painted pumpkin displayed in front of a home indicates that non-food treats are available for trick-or-treaters. 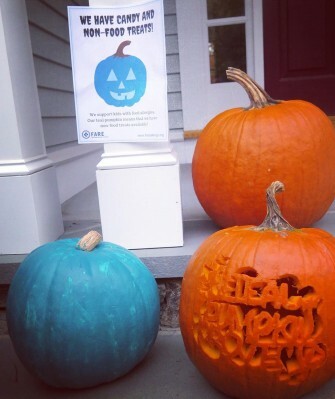 Across the country and around the world, people are embracing The Teal Pumpkin Project™ to create a safer, happier Halloween for all and to promote the inclusion of all trick-or-treaters during Halloween, especially children with dietary restrictions. 1. 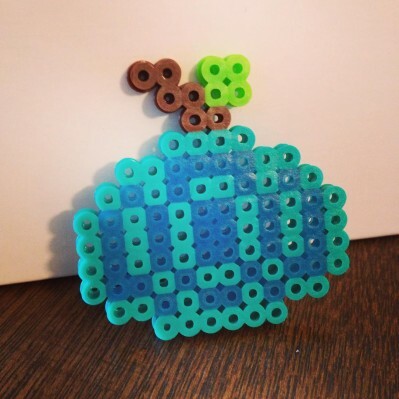 You don’t even need a pumpkin to make this creative wall decoration with teal perler beads. 2. Add some glamour to your Halloween display. 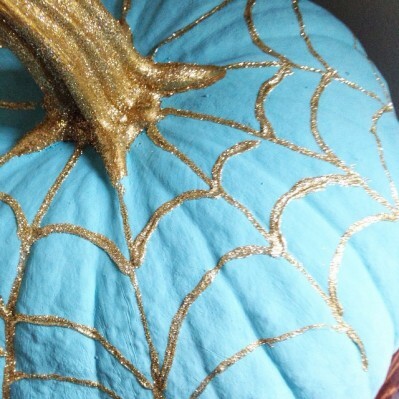 Decorate your pumpkin with some metallic teal paint and glass beads. 3. 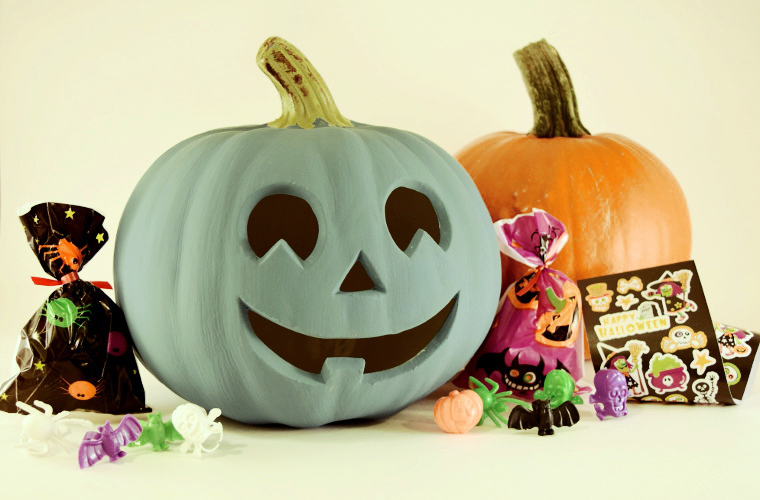 Create a fun and spooky door display with teal pumpkin cut outs. 4. 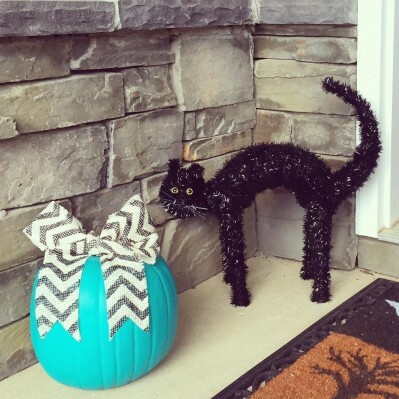 Decorate your teal pumpkin with pretty bows and surround them with Halloween creatures. 5. 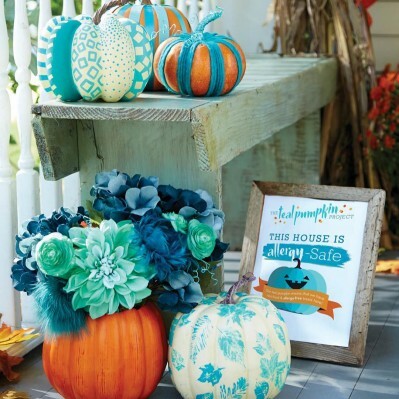 Teal pumpkins can be used to decorate more than just your front door. 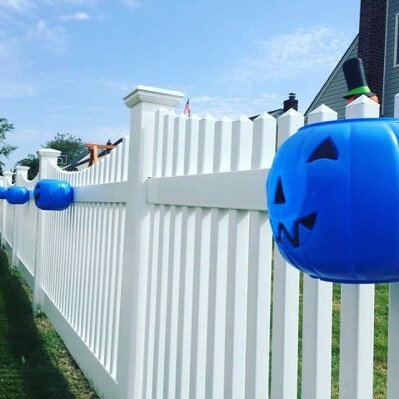 Surround your entire property with teal pumpkins by decorating your fence. 6. Decorate your teal pumpkin with felt appliqués or stickers. 7. A little bit of teal paint, glitter and imagination goes a long way! 8. For a country-cozy look, paint your pumpkin with different shades of teal, and use teal flowers to accent your front porch. 9. 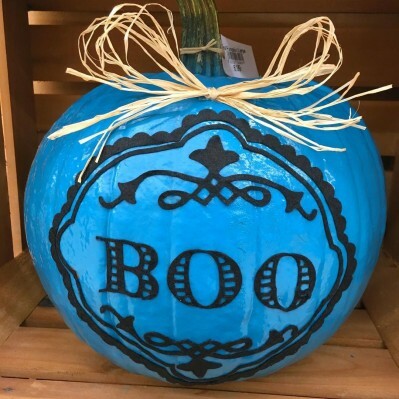 Carve the words “Teal Pumpkin Project” into a pumpkin so that it can shine bright at night. 10. 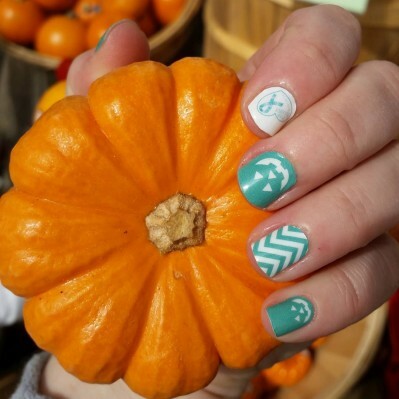 Wear your support for the teal pumpkin project. 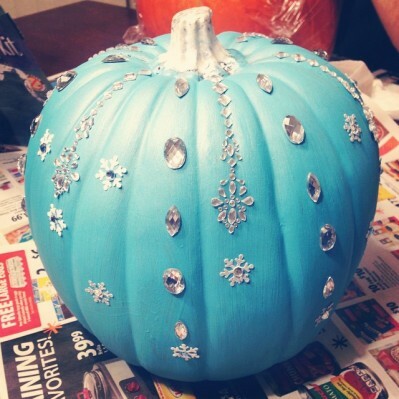 Share your DIY Teal Pumpkin Project ideas in the comments below. 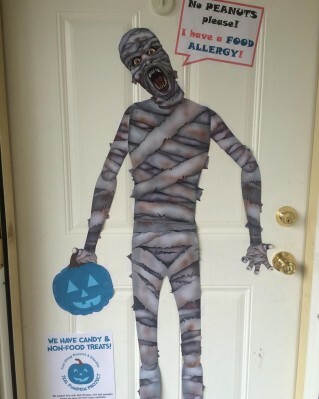 Best Allergy Sites wishes you and your family a Safe and Happy Halloween! !